If you’re looking for a high quality “guided” Columbian Blacktail Deer hunt, with extremely high trophy potential, call Jim and TinaMarie. With Arrow Five Outfitters proven record of success on trophy class Columbian Blacktail, You Will Not Be Disappointed! Visit http://www.arrowfiveoutfitters.com. Wilderness Unlimited of California and Oregon has become known as the West’s premier hunting and fishing club. 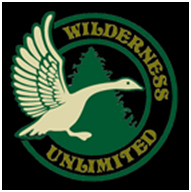 Wilderness Unlimited’s primary purpose is to access and manage private property and the wildlife available while providing recreational opportunities in a safe environment for its responsible membership. For more information visit http://wildernessunlimited.com or call 1-877-611-4868.